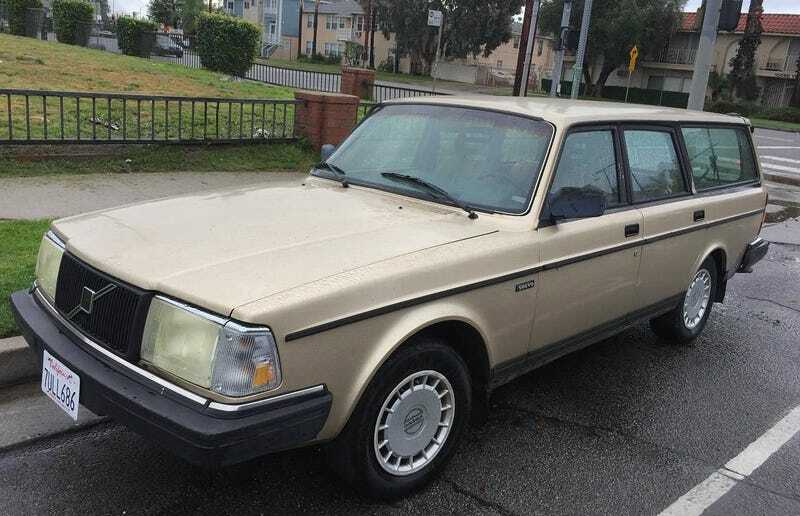 For $2,985, Could This 1992 Volvo 240 Be The Last Car You'll Ever Need? Boxing Day is the second day of Christmastide when those who serve are traditionally thanked with gifts. Today’s Nice Price or Crack Pipe Volvo is boxy, and if it fulfills its marque reputation should be a faithful servant, but will its price prove to be the gift that keeps on giving? When you throw your keys on the bar at the Black Angus and the Porsche crest is visible on the fob, people will take notice. Eyebrows will be raised in appreciation, as you are identified as an individual of means and taste by just that simple act. Of course, it doesn’t matter if the keys are to a clapped-out 924 or even a Kia Rio with a lien against it that you use to deliver Pizza Hut stuffed crust in, that fob says it all. Yesterday’s 2008 Porsche Cayenne was more than just respectable. Oh sure, it did not have that model’s best driveline, but if you’ve got to have a stick then the V6 model was one of the more available ways to go. It also came with a price tag equatable to that aforementioned Kia. Let’s see—Porsche… or… Kia…? Decision made—it’s the Porsche with a solid 58% Nice Price win! At what point do you think old Volvo wagons will transition from desirable daily driver status to cult cars relegated exclusively to hemp-wearers, vegans, and Democrats? I ask because I happen to have among my possessions a ’98 V90. Maybe that’s why I’m totally jonesing over this 1992 240 wagon with its stick shift and solid gold dancer paint job. A 1992 240 however is not a modern car. Hell, would anything built in ’92 feel contemporary? Maybe a Miata, or perhaps an Accord, but you’re still giving up a lot of modern safety features and conveniences with a car of this age. And at this point the 240 was already nearing the end of its run, having originally been introduced all the way back in 1974. That doesn’t matter though because these cars were built to withstand nearly anything, be it bitterly cold Scandinavian winters, encounters with moose, or even vegans. They will do all of that relatively slowly, as one notable modern feature that you’d give up with this car is alacrity, even with the stick. The fuel injected B21 B23of under the hood produced 107 112-bhp when new. It’s tough to guess how many of those ponies are still left here, but the ad notes a recent timing belt refresh so at least you know those that remain should stick around a while longer. The ad also says the car runs “absolutely super” and drives “awesome,” both glowing appraisals of its service from an admittedly biased source. The seller additionally says it’s clean, and admittedly it does present as tidy in the ad, although well worn in a number of places. The body appears to be in generally decent shape, although there’s something funky going on at the tail lamps. Maybe it’s just the plastic around the lenses, it’s hard to tell from the pics. There doesn’t seem to be any rust observable, outside of that above the handle on the hatch. Other aesthetic issues include a piece of windshield trim missing on one side, and a good bit of the black window surround that Volvo used to make the greenhouse seem bigger fading and wearing out in places. Also, the headlights are the color of cave-dwelling fish. Nicely however, all four plastic wheel covers are accounted for. The interior is likewise serviceable but showing its age. The carpet looks a bit tired, there’s a crack in the dash, and the seats could stand to be in a YouTube video on rejuvenating vinyl surfaces, but at least everything’s intact. Plus it’s a manual which adds to its fun factor. How did this car get to this point? By making—according to the ad—288,000 miles. Yikes, that’s a lot! It’s more than Tuesday’s GMC. Hell, it’s more than a trip to the Moon. Well, not every car could make that trip, but remember this is a Volvo 240, and they tend to never die. This one seems in fact to have a lot of life left in it. The asking price to keep it alive is $2,985. What do you think, does that seem like a deal to snap up this stick shift Volvo wagon? Or, is $2,985 too much for an old—and slow—car with so many miles under its belt?